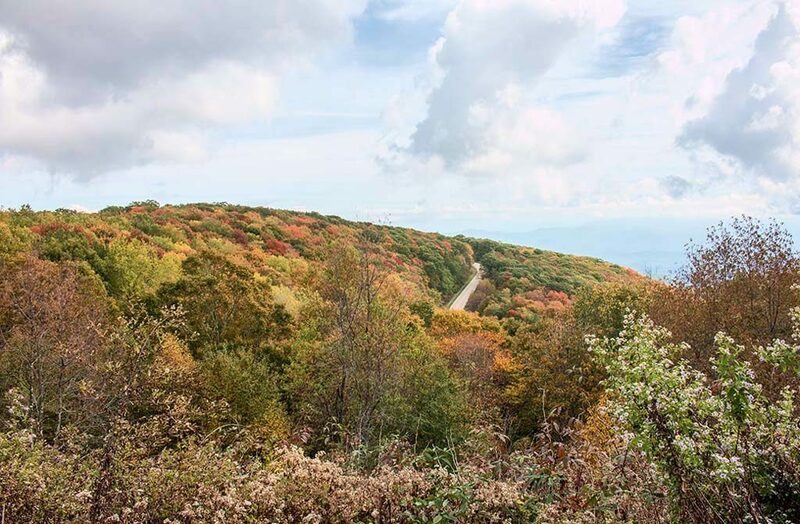 Peak colors typically occur during the last two weeks in October, but that is dependent upon fall temperatures and in particular, the first frost date. 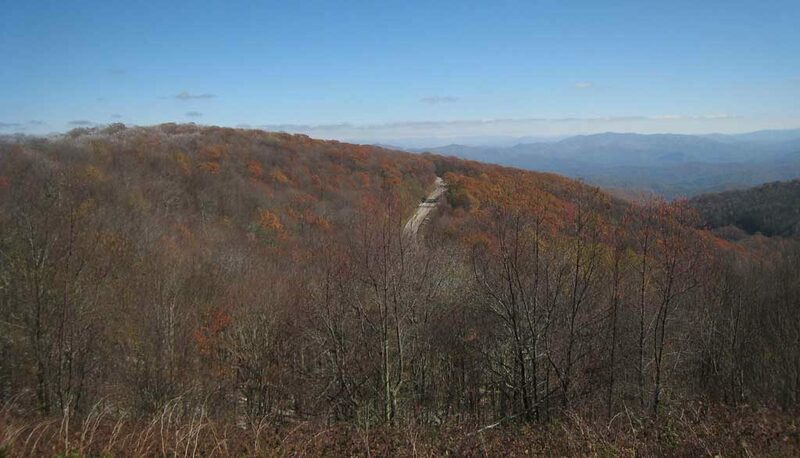 The color change begins at higher elevations where you see the earliest changes in late September, and continue all the way into mid-November at the lower elevations. 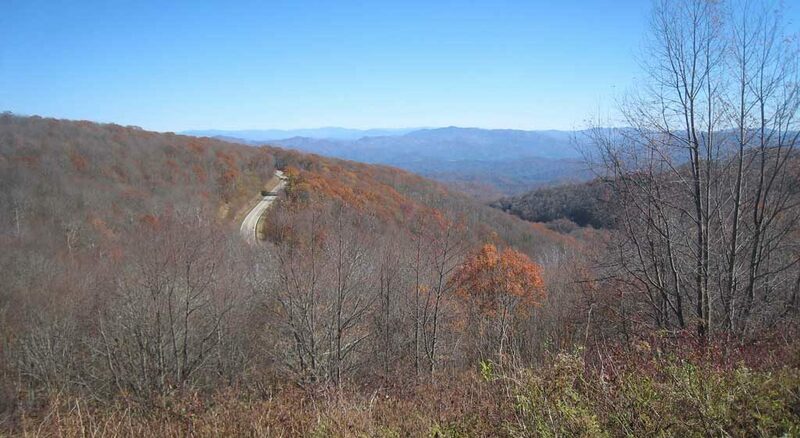 The Sourwood and Dogwood trees are the first to turn red early in the season. Next are the Tulip Poplars which turn yellow, but then quickly turn brown. 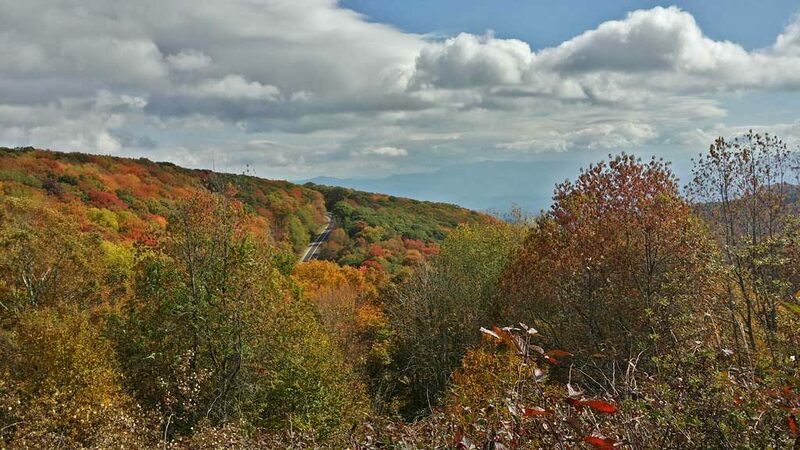 Peak leaf season brings in the red, orange, and yellow of the Maples and the bright yellow of the Birches. Oaks and Sweetgums finish up the season with purple, orange, and red. 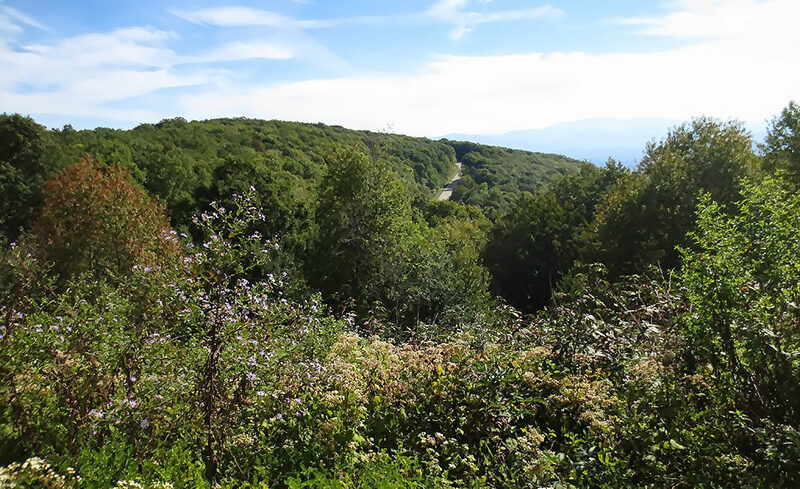 Fall wildflowers on the Cherohala Skyway provide a beautiful display of colors starting in September up to the first frost in early October. 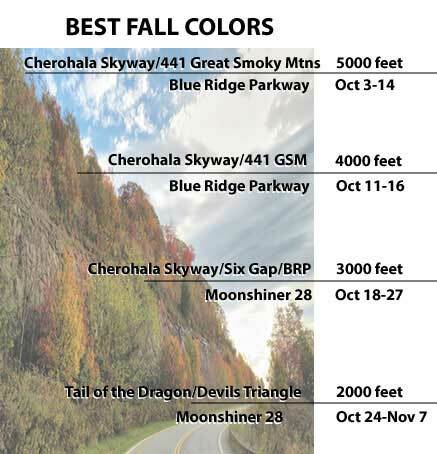 The higher elevations such as the Cherohala Skyway, US 441 through the Great Smoky Mountain National Park and the Blue Ridge Parkway will have the first colors. 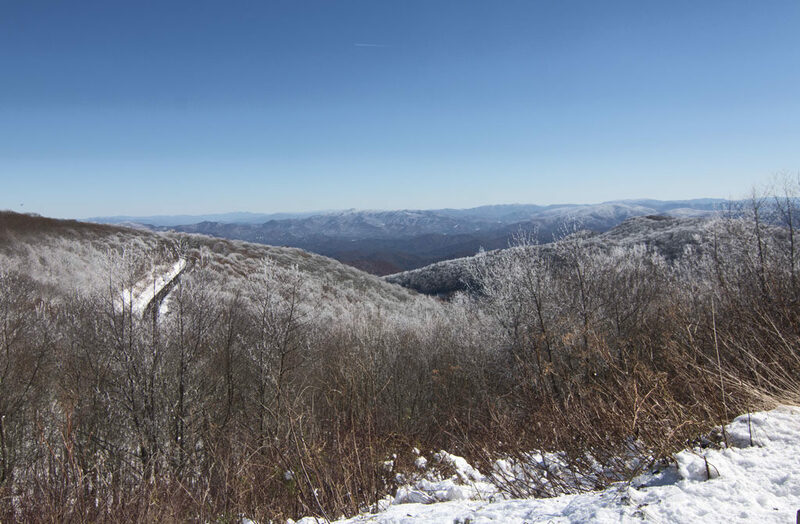 Take a jacket because temperatures can be 10 degrees colder at 5,000 feet. Remember that sightseeing will bring more traffic and it’s moving slower. Falling leaves can be a problem in wet weather. 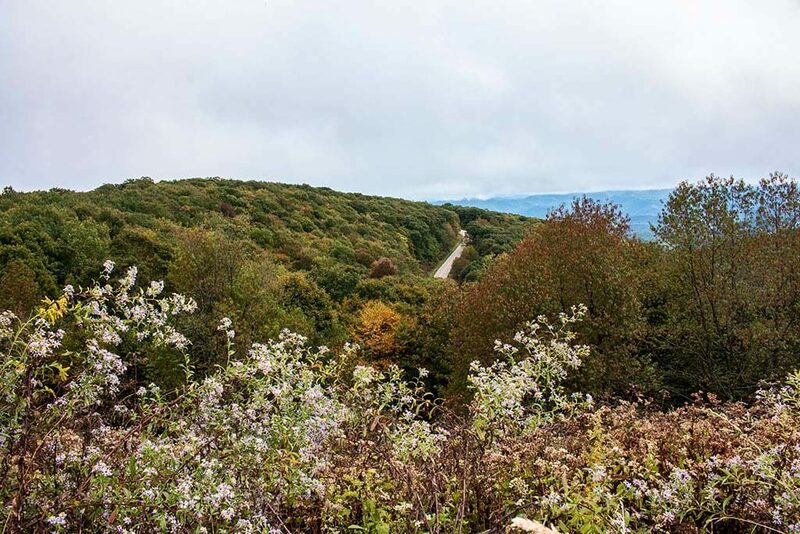 Once the roads dry, the leaves usually clear fast. We have seen snow as early as Halloween but it doesn’t stick long. First snow is generally during the very end of October and first part of November, of course warmer temps follows. 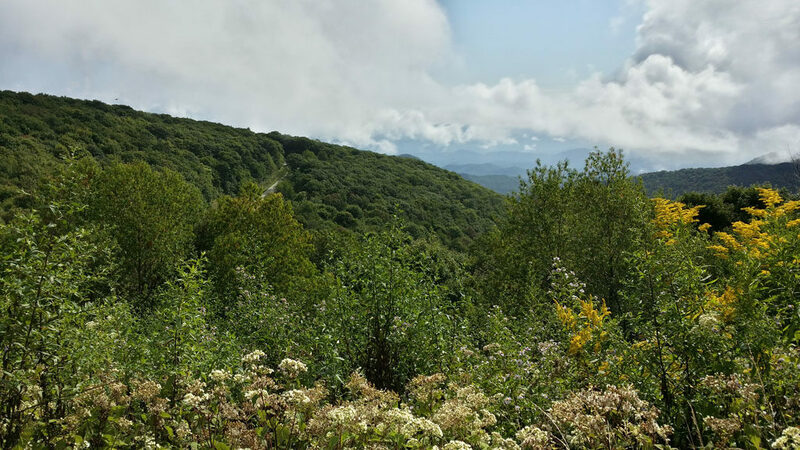 Cherohala Skyway - NC mile marker 10, elevation 5000'.